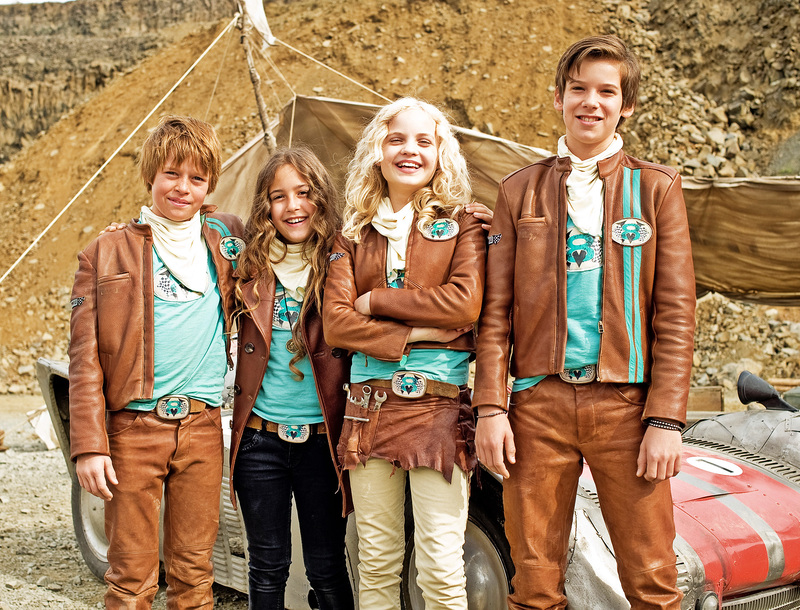 The heroes of V8 are four kids that are as different as can be. One is rich and spoiled, the second poor and modest. The third is the second’s little brother and therefore an eternal burden. The fourth is technically a girl, but never acts like one – unless of course in moments when the last thing you need is a girl. With this group of misfits, it is only logical that neither really likes the other in the beginning, but they share a common dream: the dream of the best, biggest, most adventurous and naturally most secret racing team in the world. An ambitious dream, granted, but now it can come true. The four misfits receive an invitation to The Castle – the legendary racing circus for kids, that only children know about and that – rumor has it – has birthed all F1 world champions. But before the four can actually accept the invitation to race for admission to The Castle, they have to become a team first. A team in which they can not only trust each other but in which every single one is ready to shed their ego, envy and rivalry to fight for each other: the proud V8. They have to learn what it means to not only be the best on the track, but in life. They will have to pursue this dream against all odds and barriers and especially without the help of their parents. As mentioned before: The Castle is secret. Parents and grown-ups not welcome!